Canadian endurance racer Cory Wallace is part of the team behind a new world-class 24 hour race in Canada, the Okanagan 24. 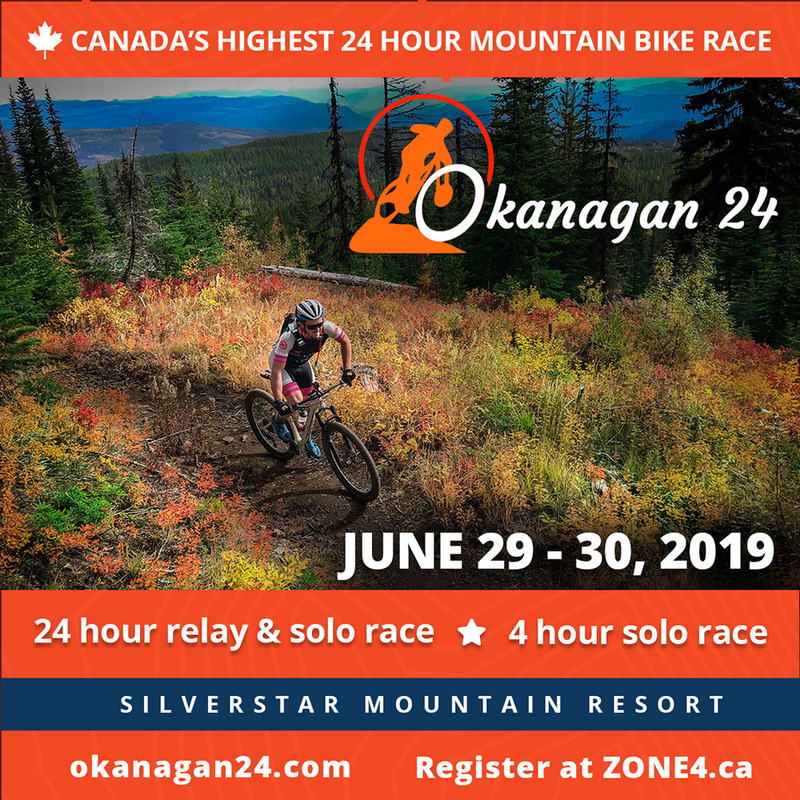 The Okanagan 24 will take place on Canada Day weekend (June 29-30), in the heart of the Okanagan at Silver Star Mountain Resort. The race has 24 hour and 4 hour events, with various team and solo categories. Sitting at an altitude of 1600+ metres, Silver Star resort offers expansive views of the Monashee mountain ranges and a refreshing sub alpine climate. This makes it Canada's highest 24 hour mountain bike race, and certainly one of the most beautiful. The course will take place on the lower cross country trails and will have 385 metres of vertical change over a 15.5 kilometre loop, incorporating mainly blue level trails. The course is something Cory and his team have put over 30 years of racing experience into, and they are confident it will be a highlight of the weekend, no matter what your riding ability is. The Okanagan is known for its dry, sunny climate, good fruit and wine, lakeshore communities and an active outdoor lifestyle. This is the perfect opportunity to take your family and friends to one of Canada's premier summer destinations for a weekend of bike racing excitement and some post-race Canada Day celebrations and relaxation. Silver Star Resort offers a wide range of accommodation from camping to 5 star hotels, a mixture of bars and restaurants and plenty of activities such as hiking and downhill mountain biking to keep everyone entertained. There are few places like it which offer a fully functional European style village surrounded by a world-class trail system and one of the best climates in the country. For more information check out the race website at www.okanagan24.com.